Do you know how much Google knows about you? A lot. It tracks almost everything you do on the Internet and collects the data from all your different devices in order to target relevant ads to its users and better improve its service. Since the information that Google gathers is pulled from Android, Chrome, and all of Google’s web services (Google, Gmail,YouTube, Maps, Play Music, etc), the information that is collected is staggering. 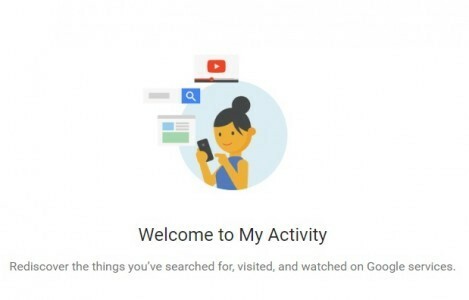 Now, Google has launched a new dashboard called ‘My Activity‘ to make it easier to control all the data by consolidating the information that it collected about you. It shows all of your online activities such as search history, music you listen to, video searches and even places you have visited. It is very similar to Facebook’s Activity Log, where you can see all of your activities on the social networking platform. 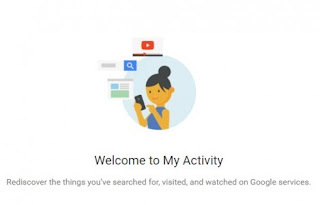 The new dashboard improves upon Google’s previous ‘My Account’ dashboard, which allows you to manage which content Google collects and associates with your Google account. 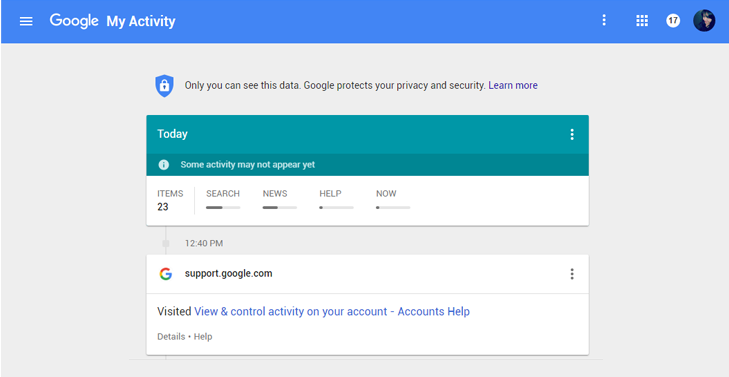 Google has been notifying its users via Chrome (if synced with your Google account) and Gmail about the new tool. You can also access it by going to the ‘My Account’ app on your Gmail, where you would notice the ‘My Activity‘ app added at the end. This ‘My Activity’ dashboard works on both desktop and mobile. The new dashboard not only gives you a way to track your online behaviour, it also allows you to choose to delete or edit any content if you want to. Also, note that the app will show your search activity only in case you use Google as your primary search engine and own a Google account. Otherwise, of course, Google would have no access to your online activity. Meanwhile, Google has also introduced a new feature that lets you personalise the ads that you see. These ads are generally based on the content you search, the websites that you visit and the videos you watch. A new opt-in option will ask if you want to personalise ads based on your age, gender, and search history to display on third-party sites, reports Wired. Therefore, my making changes to your activity track, you can also customise the kind of ads that Google pops up on your screen. The feature is beneficial for those who want control over how ads work across all their devices linked with Google account and also gives them the ability to block some ads they don’t want to see.